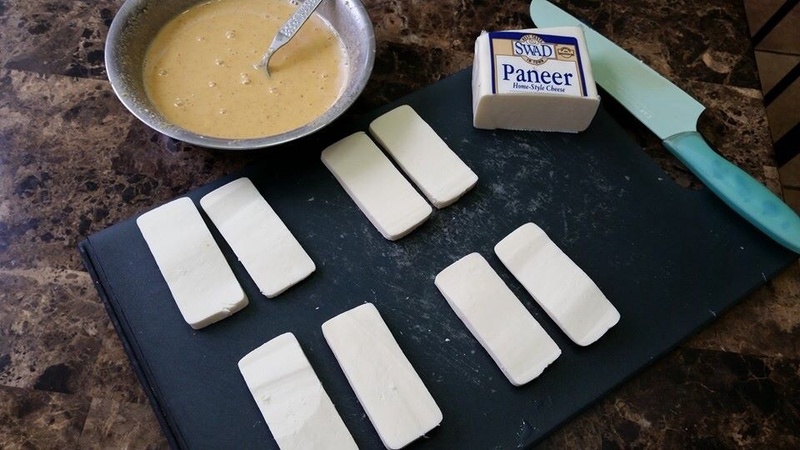 Slice paneer thinly into long rectangles. Arrange in pairs of two. 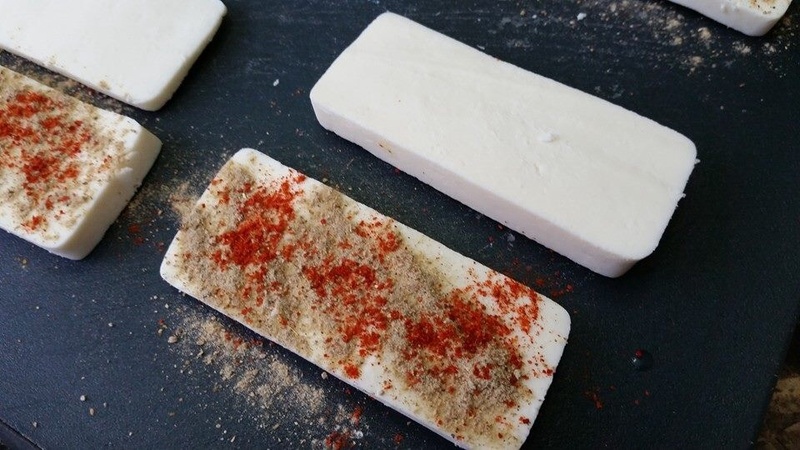 Sprinkle with chaat masala and red chilli pwdr and arrange in stacks of two. Sprinkle spices liberally to counter the bland paneer. 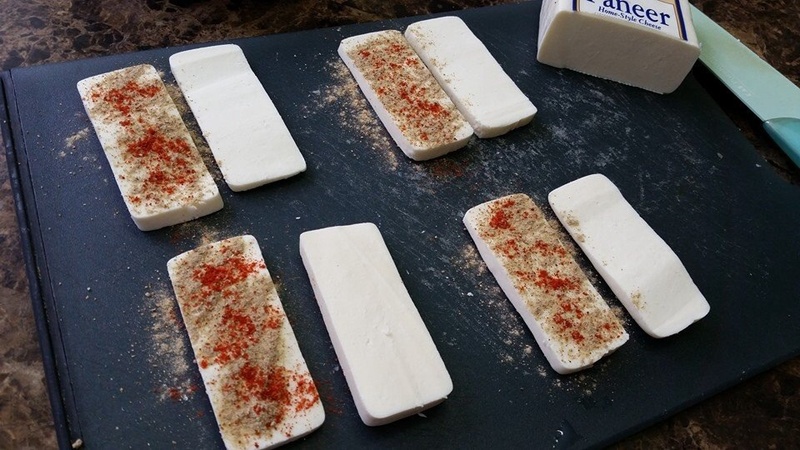 Cut each stack of paneer into half…to make for easier handling. Prepare batter by blending besan with water, salt, red chili pwdr, freshly chopped dhania, green chillies and about 1/2 tsp baking pwdr. 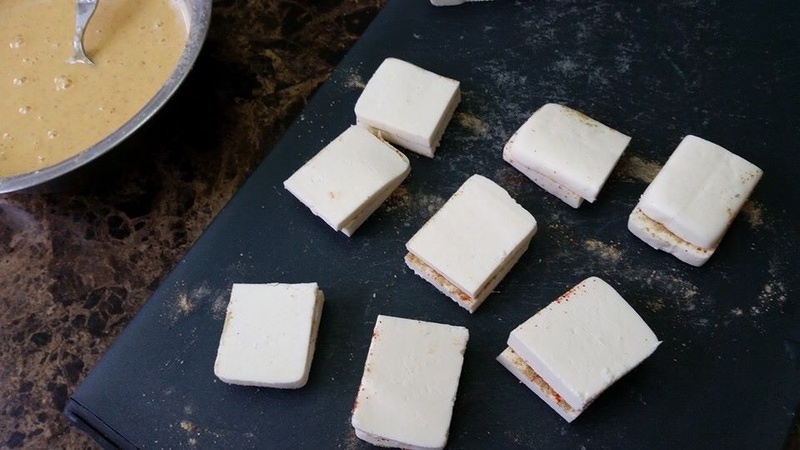 The batter should not be too thick…just coating consistency. 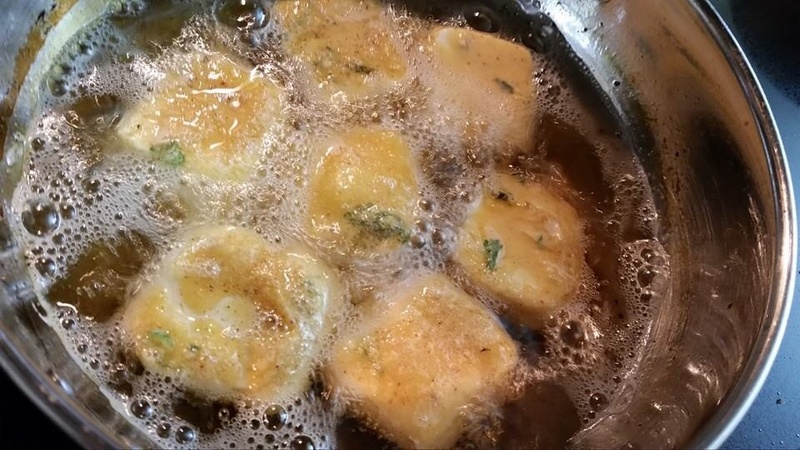 Dip each stack into the batter and deep fry in medium hot oil till crisp. 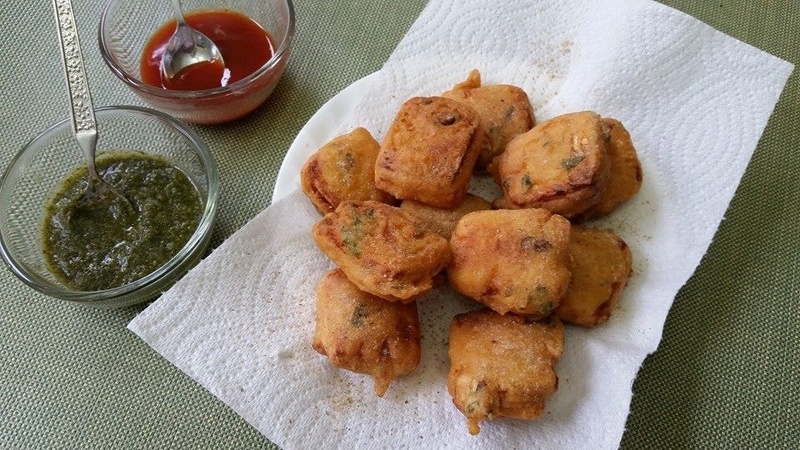 Serve hot with green chutney & ketchup and a light sprinkle of chat masala! 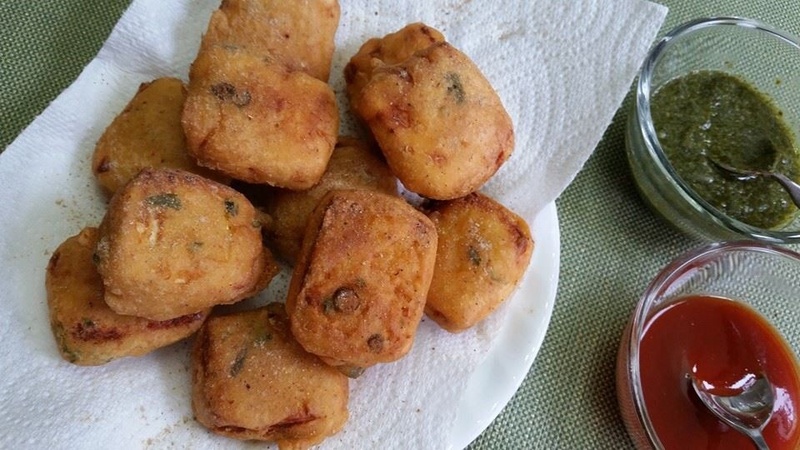 Enjoy the delicious contrast of crispy pakoras with a melt in the mouth center. 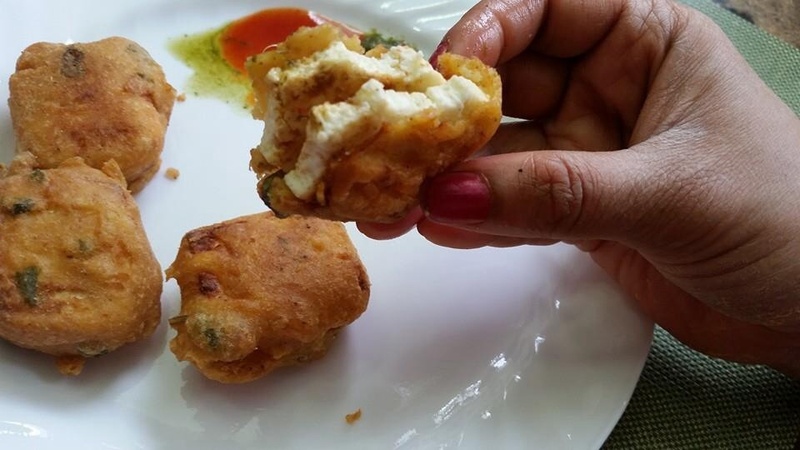 The rich sweet paneer with a spicy chatmasala filling…Yummm!